If you’re currently a student, then you’ll no doubt often make ample use of highlighters during revision. Even if your studying days are far behind, you probably still use them from time to time. 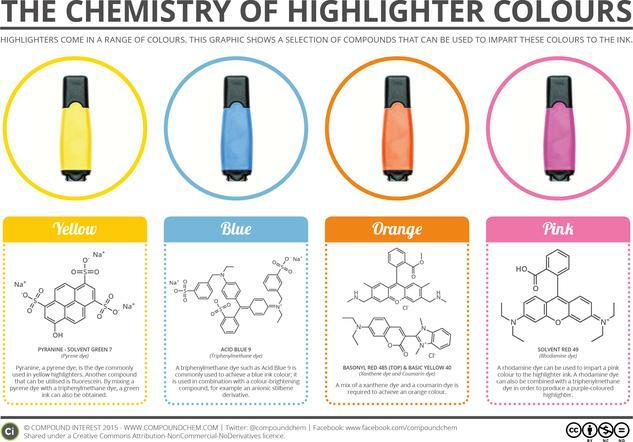 But what are the chemicals behind their luminous colours? This graphic looks at some of the possible dyes that can be used. Depending on the colour of ink required, a number of different dyes are used in highlighter pens. Yellow highlighters commonly make use of a pyrene-based dye, such as pyranine; fluorescein can also be used. 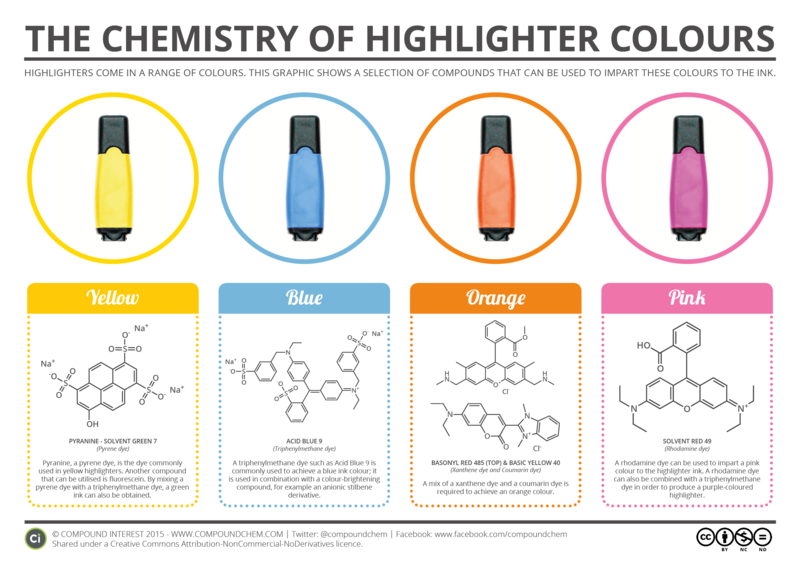 Triphenylmethane dyes are used to make blue highlighters, and these can be mixed with pyrene-based dyes to produce green inks, or mixed with the rhodamine dyes used to make pink highlighters to produce a purple ink. Finally, a combination of a coumarin dye and a xanthene dye can be utilised for orange ink.